Exuberant, exhilarating and infectious dance compositions with a funky, modern touch by Hossam Ramzy, rhythmically arranged especially with dancers in mind – freshly remastered, including bonus track. Hossam’s percussion is accompanied on keyboards, bass, mizmar, quarter tone accordion, nay, kawala and quarter tone saxophone. The booklet contains information in English, German, French and Spanish. 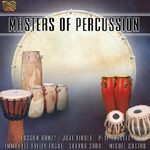 Powerful, stimulating drumming and percussion from around the world. 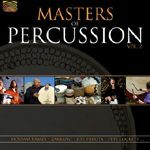 Eight giants of percussion from Egypt, Japan, India, Mali, Nigeria and Iran present well over one hour of exhilarating drumming pieces in a colourful variety of styles. Info about the artists and each of the pieces in four languages. Total playing time: 73:50 min. An explosive musical journey representing and combining musical genius from all corners of the globe. Featuring world renowned artists A.R. 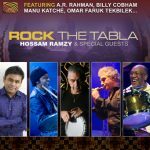 Rahman, Billy Cobham, Manu Katché, Omar Faruk Tekbilek, Jimmy Waldo, Joji Hirota, Chaz Kkoshi, Phil Thornton, John Themis and others, Hossam Ramzy presents Rock the Tabla, an album that is sure to get your feet tapping, heads nodding and body swaying to this diverse combination of electrifying rhythmic collaborations. Richly illustrated booklet with extensive info in four languages. 10 brand new compositions exploring a whole gamut of sounds and emotions. You will find them lush, extravagant, dynamic, exciting, driving, rhythmic, emotional, playful, light hearted, deep, soulful and above all….. VERY DANCEABLE. All done with YOU, the dancer, in mind. English, German, French and Spanish. Some of the most fabulous, stirring drumming and percussion from around the world. Gripping rhythms, powerful drums, each piece a gem! 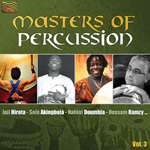 Master drummers and percussionists from South Africa, England, Japan (Taiko), Egypt, Iran, the Caribbean and Burundi (Central Africa) at their best. Info about each of the artists and pieces in English, German, French and Spanish. England, Egypt, India, Africa and Latin America. Featuring Joji Hirota, Pete Lockette, Hossam Ramzy, Miguel Castro, Manuel Niiey Tagoe and Sarwar Sabri. All rtists’ biographies and information about each of the pieces in English, German, French and Spanish. 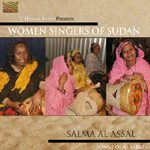 This unique female group of singers from Sudan, led by Salma Al Assal (who has performed with artists such as Ali Hassan Kuban and Mahmoud Fadl), presents the traditional “Al Sabata” style of singing, accompanied only by Sudanese dalloukas (clay drums). Recorded and produced by Hossam Ramzy. Extensive info in English, German, French and Spanish. “Egyptian rhythms combined with Latin American hits! An exciting new style that is very danceable and a lot of fun. Check it out!” – Hossam Ramzy. The songs: Guantanamera, Cielito Lindo, Besame Mucho, La Cucaracha, La Bamba… and composed especially for this album: Arabia Azteca. 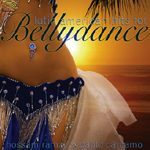 An album of a very special collection of Hossam’s Number 1 hits in the world of Belly Dance. Edited in a very special way, around 5 minutes maximum and DIGITALLY enhanced for that special Club Night you are holding.